Can the Ixworth and Stanton Free School proposers break the clique and work with Thurston? As more emerged today about the identities of those behind the Ixworth and Stanton Free school the group began to look very much like a clique and a bit like a wholly owned subsidiary of West Suffolk Conservatives. Correspondence between the proposers in the possession of this blog show that email messages have been copied to a Tory party agent. Two of the parents in the group work for St Edmundsbury Council. 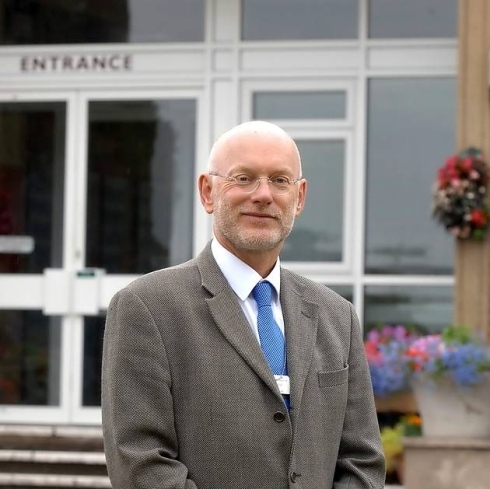 Phil Vigrass, Head of Blackbourne Middle School in Stanton has suggested that the group try and work with Thurston Community College and in particular on the plans for a sixth form. Vigrass is strongly supporting both the free school and the Thurston Partnership proposals so that local parents get choice of provision at 11. It is pleasing to see that both Blackbourne and Beyton Middle schools seem to be accepting the move to two tier will happen. Ixworth Middle seems to be having the biggest problem accepting the reality and seem to be ignoring everyone. Head Glenice Francis not available to speak to the EADT and is ignoring all my attempts to communicate with her. "However, as the headteacher of a school that feeds into TCC and also potentially the new school there is a real issue of conflict of interest. I cannot be seen to be supportive of one option when it can be perceived as being unsupportive of the other. I need to work effectively with those who are leading both options, thereby supporting all possible choices for our pupils (and staff)." This seems a perfectly reasonable position. There looks to be a real opportunity that both sides here to work together and see if both sets of proposals can be made to work. But the free school proposers need to take a much more open approach, stop being so defensive, open up their closed Facebook group. Involve more people from a wider background and stop operating like they are part of West Suffolk Conservative party. The free school proposal might even stand a decent chance if they do.